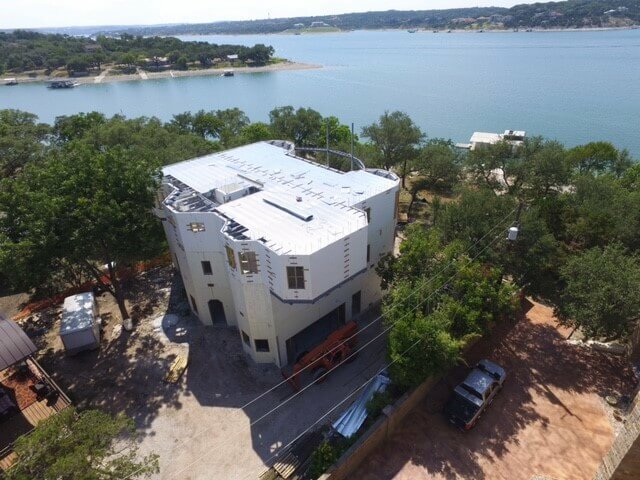 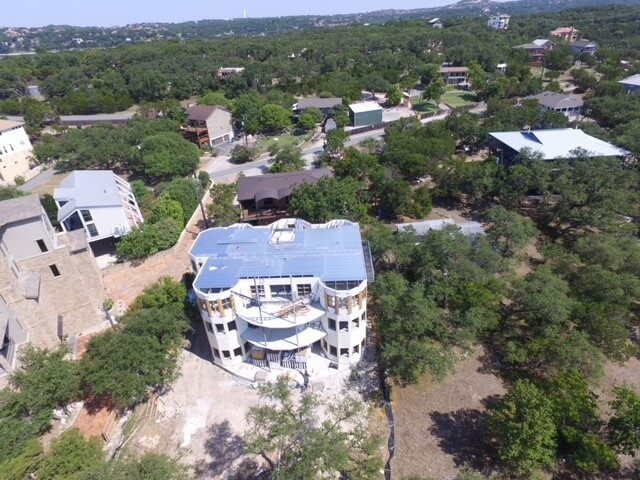 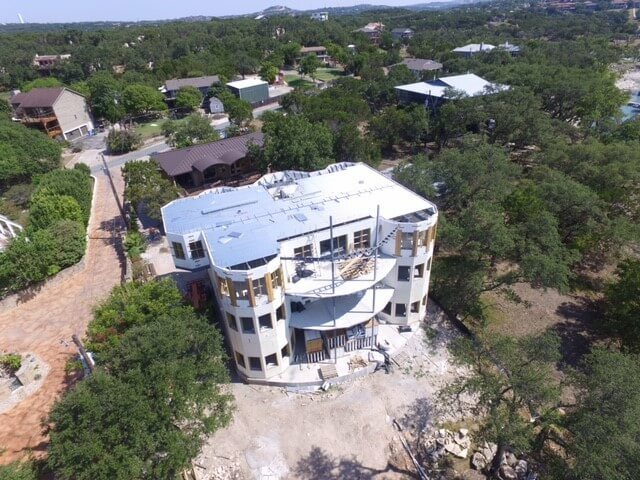 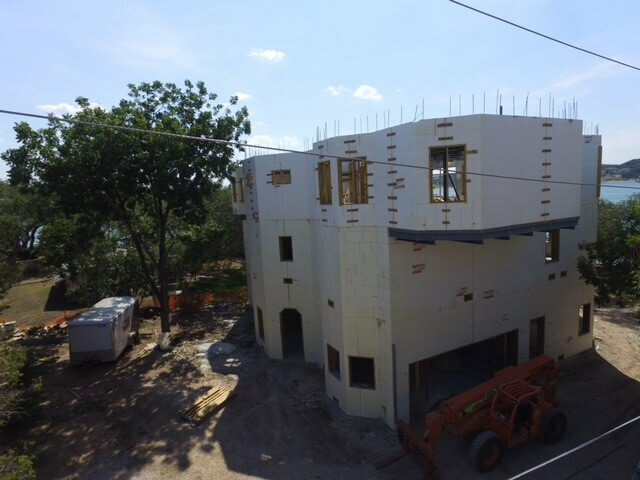 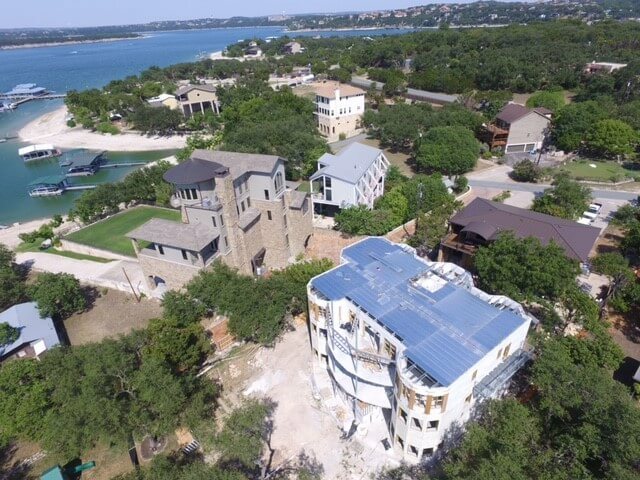 The Williams Residence is a 9,100 sq ft, four storey custom ICF home overlooking Lake Travis in Texas. 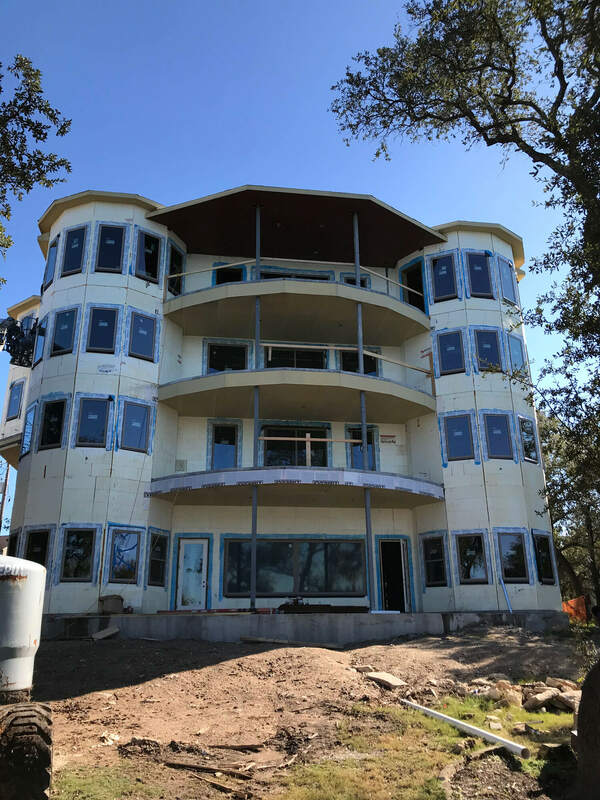 This project was carried out by our value add reseller Alternative Building Concepts. 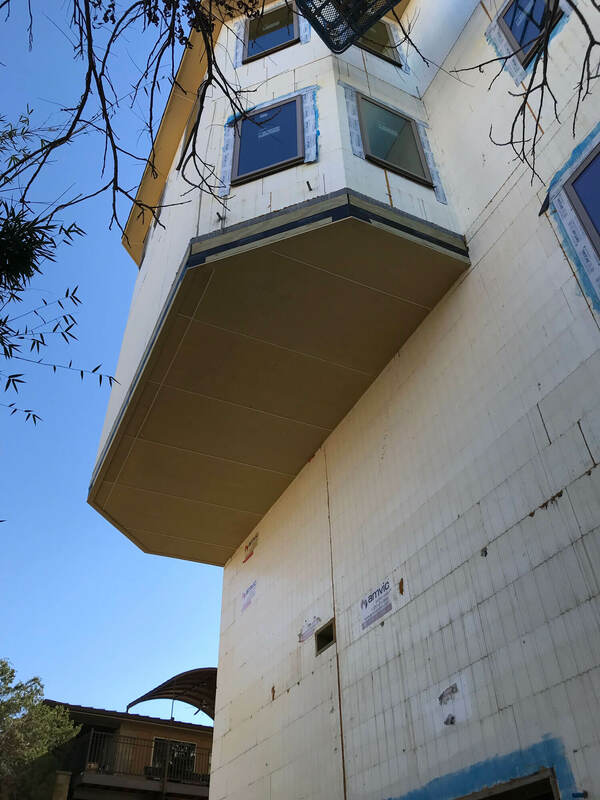 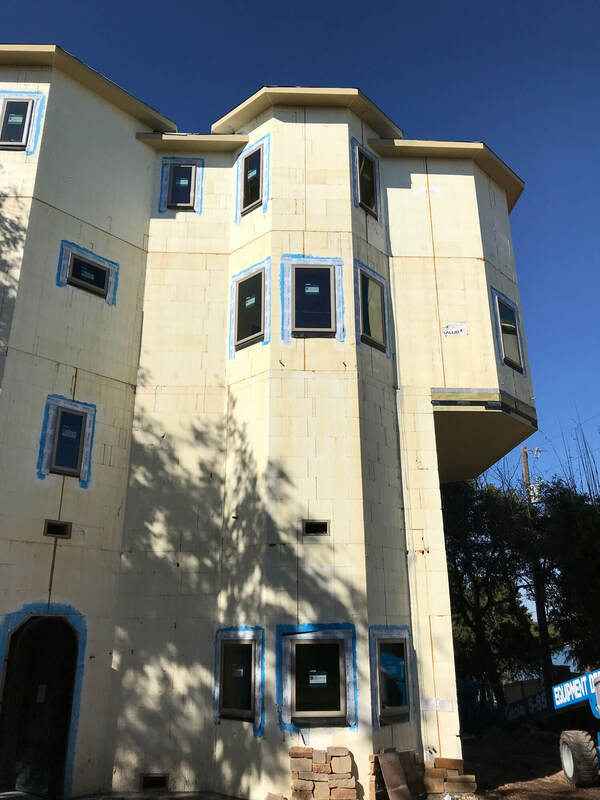 The owners were looking for a high quality flooring system to eliminate squeaking in the floors that would be durable and not susceptible to termites. 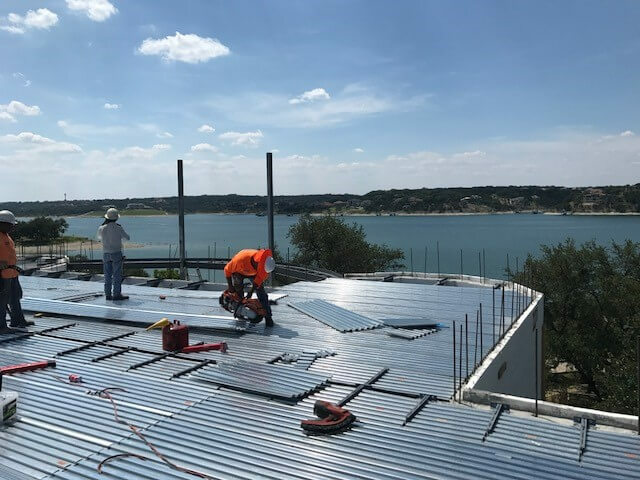 The flood plain allowed for the first floor to be used as a garage/storage area and the owner wanted to have polished, stamped concrete floors throughout. 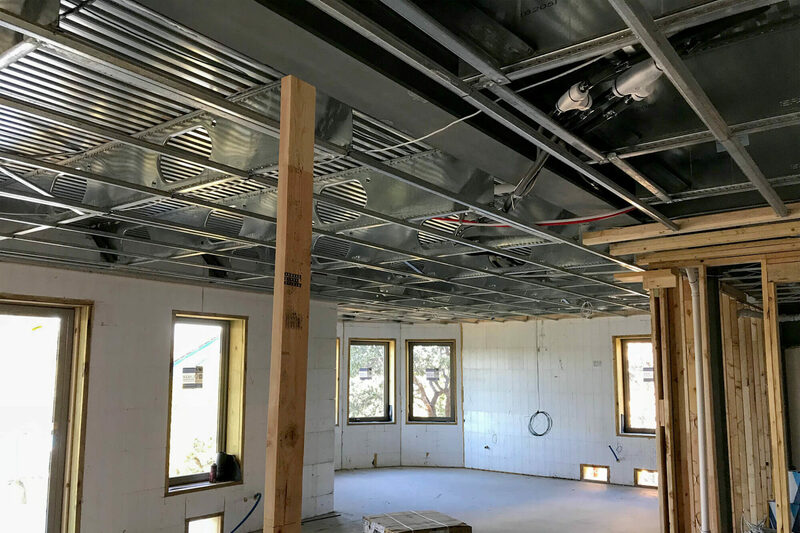 The first floor, which was to be used as an entertainment area, incorporated Composite TotalJoist to mitigate floor vibration. 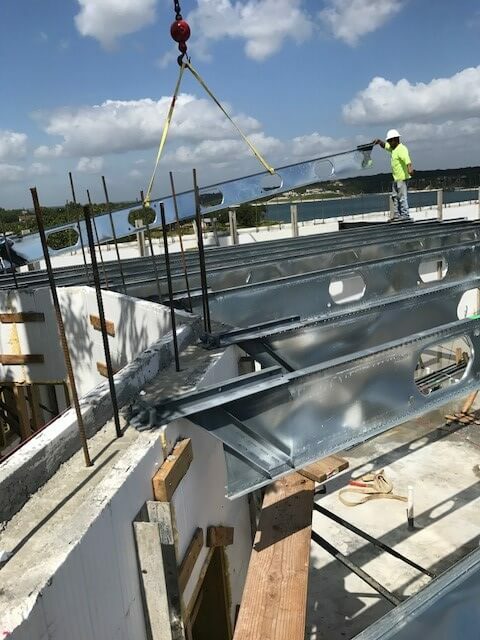 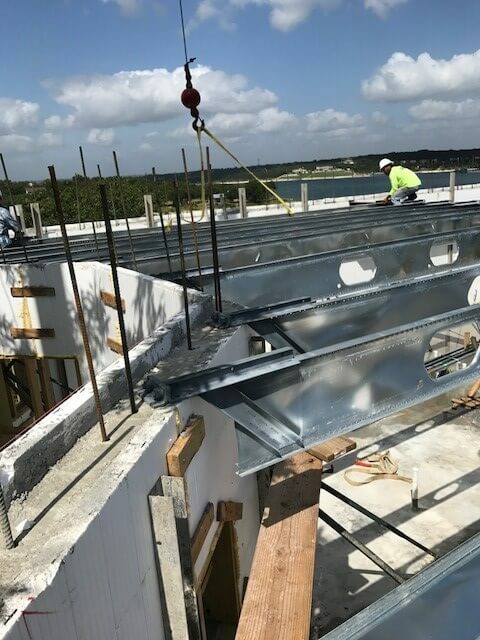 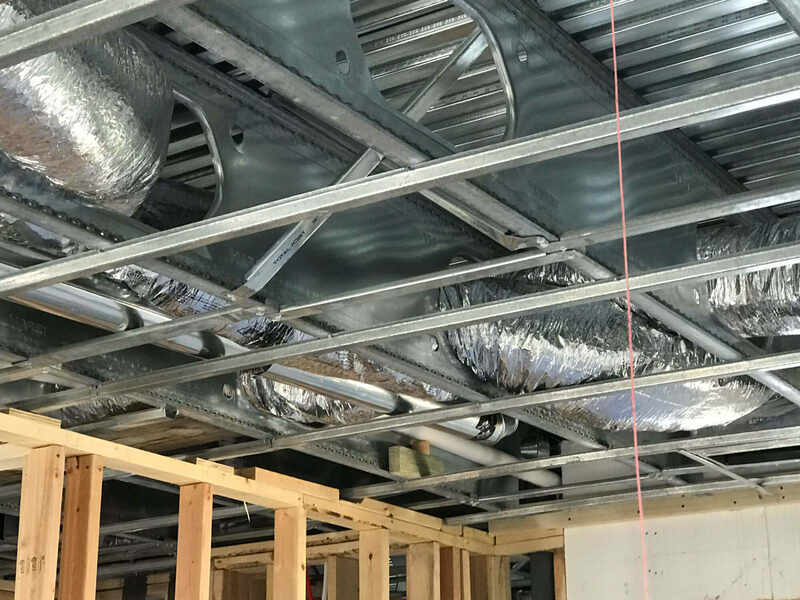 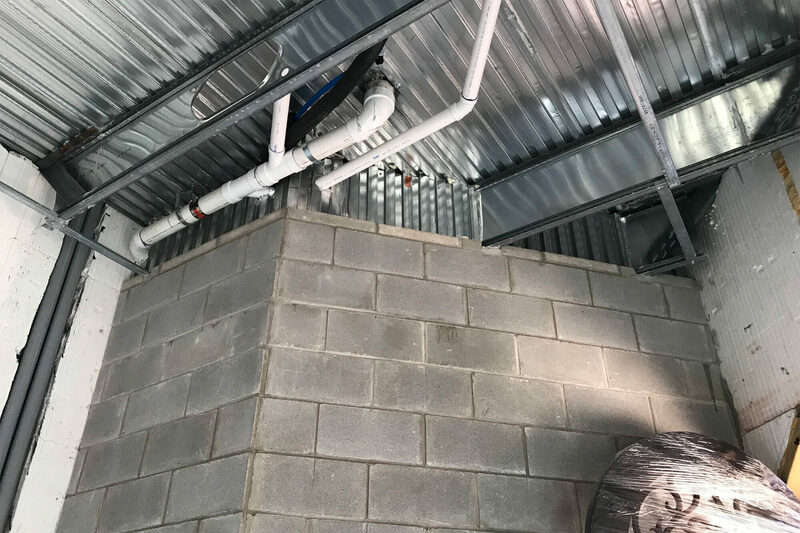 Problems with structural steel and joist interferences on site could easily be accommodated due to Composite TotalJoist’s flexibility with joist spacing. 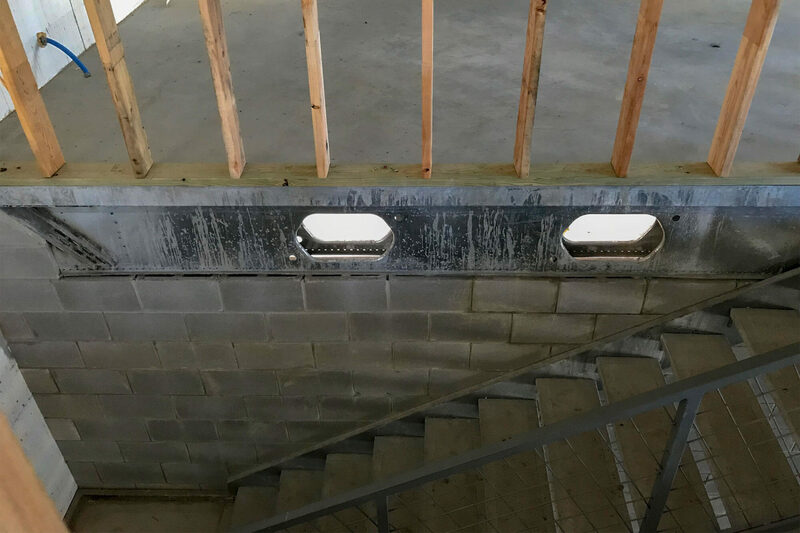 To allow for an open design, we eliminated structural steel at the stair openings by using multi-ply girders.